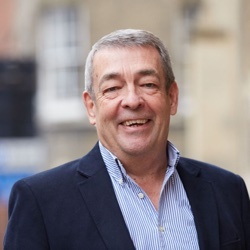 David set up his own consultancy, David Bower and Associates in April 1999, providing HR consulting, interim management, coaching and advisory services, having been Group Personnel Director, Rover Group Ltd. for seven years. In 2000 he was appointed a Principal Fellow at Warwick Manufacturing Group and also Chairman of TMI UK Ltd. David has also held several senior public appointments and non-Executive roles. From April 2002 David was interim HR Director for Carillion plc and worked with Laing O’Rourke, Harley-Davidson Europe, Peel Ports Ltd and three divisions of Balfour Beatty plc in similar roles. In 2006 he completed a review of HR services for London School of Economics and in 2007 carried out a major due diligence assignment with Cerberus, the private equity company; in 2010 he conducted an HR review for Barker Brettell LLC and a commercial compliance review for Balfour Beatty plc in 2012. David has developed HR consulting and coaching activity alongside these assignments. In December 2012 he set up a new business, DGB Associates Ltd.
Jem Rashbass is a clinician with a background in medicine, molecular biology and histopathology. 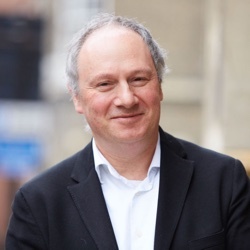 Since 2013, he has been the National Director for Disease Registration and Cancer Analysis in Public Health England and is responsible for developing and maintaining the national disease registers to support public health in England. Prior to this, as the National Director for Cancer Modernisation, Jem was responsible for unifying the previously autonomous regional cancer registries to create a single National Cancer Registration Service across England. This followed eight years as head of the Eastern Cancer Registry and Information Centre, a post he also held in conjunction with the leadership of the East of England cancer Screening Quality Assurance Services. 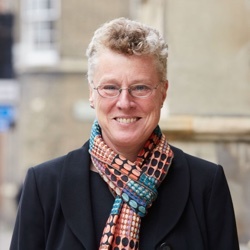 Jem founded and directed the Clinical and Biomedical Computing Unit (CBCU), first within Cambridge University and then in the NHS as well as the University of Cambridge Centre for Applied Research in Educational Technologies. He is also the founder and Director of Clinical and Biomedical Computing Ltd (CBCL), a University/NHS spin-out company specializing in web-based publishing software. CBCL developed and delivered all the online publications for the Pharmaceutical Press, including the British National Formulary. Jem is a Fellow of the Royal College of Pathologists, and an honorary NHS consultant in public health medicine. Hilary is an experienced health service manager who has worked at all organisational tiers of the NHS and in the private sector. Hilary’s core skills are in strategy and business case development, option appraisal, project management and problem solving. She has led strategy review and development work across a broad range of subjects, including cardiac, cancer, neonatal and community services, and waiting list/time management. Hilary worked in the acute provider sector for the first 10 years of her career both managing direct clinical services and undertaking service reconfiguration and business case development work and has an excellent understanding of the components and dependencies of a wide range of clinical services. Since 2000 Hilary has enjoyed a successful career as both a freelance and retained consultant working with clients such as the London Cancer Alliance, the Integrated Cancer Centre, South East London (Guy’s and St Thomas’ and Kings College Hospitals), South East London Cancer Network, the Department of Health, South Central SHA and the Government Office, East of England. Throughout her career Hilary has considerable experience in using scientific models and developing analytical tools to tackle complex problems for a wide variety of organisations. These have ranged from needs assessment models, patient flow and access scenario development, activity projections linked to capacity and financial models, waiting list modelling, self assessment tools used to generate a balanced scorecard, and market share analysis. Richard Alexander is Chief Financial Officer at Imperial College Healthcare NHS Trust, one of the largest Healthcare providers in the UK. Richard was previously Finance Director at University College London Hospitals NHS Foundation Trust (UCLH) from 2007. Before the NHS, Richard worked in the technology industry, including 16 years at Oracle, moving to Amsterdam in 2000 to run Oracle Netherlands’ financial activity, then to Bangalore, India three years later to establish and run Oracle’s Global Financial Information Centre. Richard is Chief Executive of the Independent Reconfiguration Panel (IRP), an expert non departmental body which advises the Secretary of State for Health about disputed NHS service. 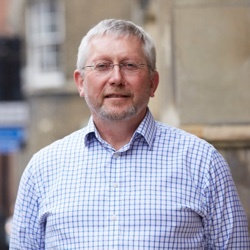 He is also Senior Partner at NHS Interim Management and Support (NHS IMAS), undertaking both consultancy and interim assignments for a variety of organisations across the NHS and the Department of Health. 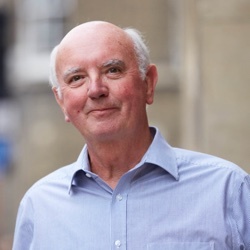 Richard graduated from Edinburgh and York Universities before working as a health economist, initially in the NHS, but later at the Health Economics Consortium, University of York, where he became senior research fellow and deputy director. He re-joined the NHS at the Northern General Hospital, Sheffield and became Director of Business Management. This was followed by being Chief Executive of Sheffield Children’s Hospital Trust, Lincolnshire Health Authority, Sheffield Health Authority and West Yorkshire Strategic Health Authority. 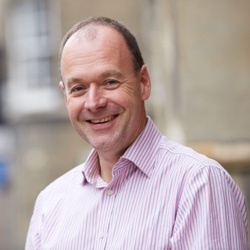 In 2005, Richard joined the Department of Health (DH) to work on the National Programme for IT and related information policy, including the roles of Senior Responsible Owner for the NHS Summary Care Record and Information Governance Assurance Programme. John is Director of Russell Avalon Ltd, a management consulting company he founded after a long career in the Automotive and Motorcycle Industries. He is also non-executive Chairman of WMMC Ltd, a not for profit business consulting organisation that delivers the Government funded Manufacturing Advisory Service in the West Midlands and the North of England. John is also Deputy Chairman of the Shakespeare Birthplace Trust in Stratford upon Avon. John holds an Engineering Degree from Leicester University and went on to hold senior, mainly Sales and Marketing, positions in Peugeot, Land Rover and Harley Davidson. He was CEO of Manganese Bronze Plc, the maker of the London Taxi, and was also the Director General of the Walpole Committee, the organisation that promotes and is funded by the best of British brands.